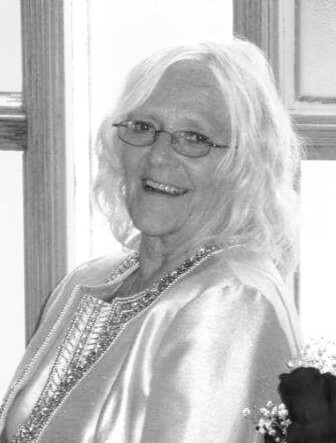 Kay E. Salo (Hochstetler), 76, passed away Friday, February 8, 2019 at Essentia Health Virginia Care Center. A funeral service will be held on Tuesday, February 12, 2019 at Pike Apostolic Lutheran Church at 1:00 pm. Visitation will begin Monday, February 11, 2019 at Range Funeral Home from 6:00 pm to 8:00 pm and will continue one hour prior to the service at the church. Arrangements are with Range Funeral Home in Virginia. To sign the online guest book or to send condolences, please visit www.rangefuneralhomes.com. Kay was born on May 2, 1942 in Soudan, MN. She lived in Tower and Buhl for most of her living days. She had a love for Jesus, cooking, her many fat cats and little dogs. She was always available for her family and friends, especially her grandchildren, who she loved dearly. Kay had a propensity to make friends where ever she was. One could always find her chatting in doctors offices, elevators and grocery lines with an ever ready hello and a life story. She had innumerable special friends, including, Kenny Paulson, Jane, of her State Street Apartment family, “adopted” daughter Katie Petrosky, and too many more to mention. Kay is survived by her sister, Viola (Don) Salo; sister-in-law, Diane Salo; brother-in-law, Willie Salo; daughter, Lisa (Paul) Neari; sons, Jon (Kari) Salo and Michael “Bucko” Salo; step-brothers, Ronnie and Raymond Hill; grandchildren; great grandchildren; nieces and nephews. Kay has been my sister in faith for 24 years. We have been through so much, but one thing always held true, we always loved each other. She was one of the most beautiful people I’ve ever known . I extend my prayers and condolences to all the members of her family. Kay has been my sister in faith and extended family for 24 years. We will miss her so. Thinking of you Bucko- thoughts and prayers for your family.